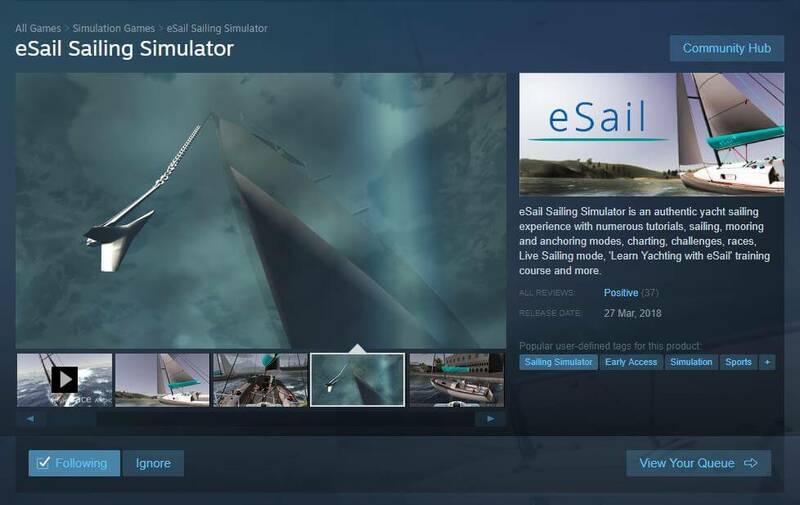 (27 Mar 2018) VR Active today announce the launch of a new sailing simulator – eSail. At last there is a way to ‘learn the ropes’ or refresh your sailing skills without actually taking to the water. eSail is a sailing simulator for the PC which includes a complete sailing course including raising the sails, tacking, gybing, mooring and anchoring which should leave you with some understanding of how to skipper and crew a real yacht once you master it. When you have learnt the basic sailing skills you set out into the open waters surrounding the (fictional) Shearwater Islands and seek out features such as the wreck of the Princess Zara and the Temple of False Hope. You can also take on challenges, such as races, treasure hunts, passage planning and collision avoidance in obstacle courses.